Continuing my practice of reviewing recently played modules, next up is Blood Moon Rising from Small Niche Games. 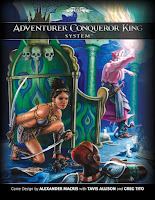 It's available through the usual suspects as a PDF - RPGnow & Drivethru RPG - for the affordable sum of $4.95. I'll include play test notes at the end, and of course, there will be spoilers. The basic idea behind the module is that there is a week long festival and feast in a nearby village, and aspiring fighters from the surrounding areas come to the village to compete in a tournament that lasts the festival week. While the day-to-day events of the tournament are unfolding, each night features a gruesome monster attack that ramps in intensity as the week gets further along. The adventure is for 1st-3rd level characters. The contents of the module describe the village and local monastery, the lands surrounding the village, a couple of adventure sites/delving opportunities, lots of villagers and visiting NPCs, a schedule of events for the week, and a large number of random events to bring the festival to life. It's jam-packed and really gives the DM a lot to work with. I've read a few of this publisher's pieces, and his strength as a writer is in developing characters and situations that drive a story forward. In the case of Blood Moon Rising, that means there are events that will happen daily regardless of the actions the players take; the world goes on without them. I like that - it feels like the world is in motion. Ideally, the DM will provide sufficient motivation for the players to compete in the tournament (there are prizes to win), and their sense of heroism or adventure will get them to intervene as the nightly attacks escalate. While the adventure isn't explicitly horror, there is plenty of potential to nudge the story in that direction; it's fairly dangerous for low-level characters. The module is written for Labyrinth Lord, but I wouldn't call it "old school". My narrow view of old school modules is that they should be site-based; once you start getting into story and a schedule of events, you're emulating modules of a different era. Stylistically, this one reminds me a lot of the mid-90's Night of the Vampire. That being said, since everything in the module revolves around a village, it's still fairly easy to drop it into an existing campaign world and have the location parked and ready to go for whenever the DM wants to kick off the festival week. Unlike other "story" based adventures, I found no railroading was necessary. One criticism I have is that the maps aren't great; there are maps for the village and nearby area, as well as a few small dungeons. 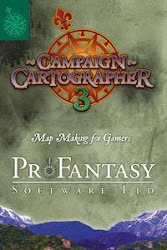 They're serviceable, but won't excite any cartographic junkies. Overall, this played extremely well in the campaign and I'd rate it highly - 3.5 out of 5 on the Beedometer. How did it work out when we played it? The plethora of detailed NPCs gave us villains, foils, rivalries, and allies that will see use in the campaign for the foreseeable future… well, they would have seen use, if they survived the recent undead invasion. The tournament was a lot of fun; at one point, I ran the sword-fighting matches as a 32-seed single elimination tournament with tournament brackets, cheering fans, and lots of cheating (especially by the player characters). My players were so hyper-focused on tournament participation, they ignored many of the ancillary plot opportunities until the monster attacks became impossible to ignore. (I think it's a strength of the set up that players can ignore the writer's plan and still get the job done). The finale of the adventure was quite dangerous, and could easily have been a TPK; as it was, 2 player characters and a henchman perished. Very deadly, but extremely exciting. I like Peter's stuff. 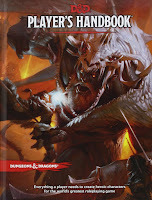 He gives the DM plenty of great material and details to work with, without violating the player's agency. Would that be TSR's 1994 Interactive CD Presentation by Rich Baker, the one set in Mystara? (After it was 'promoted' to 2nd Edition.) 'Stylistically similar' to this? So, that's good. Is Night of the Vampire worth getting, in your opinion? I never played or even heard much of the 2nd Edition Mystara setting stuff. The audio CD seemed a bit gimmicky to us. Very informative review, light in all the right places to avoid spoilers. This seems intriguing! Actual play reports are a major bonus! They're enjoyable and help in deciding to run(or purchase) an adventure. I'll grab this when available in hard copy. Night of the Vampire places the PC's at an isolated manor (shipwrecked - kind of a railroad) and the lord is throwing a small tournament and then a masquerade ball; during the night, folks are getting picked off by a vampire that's infiltrated the festivities. It's similar in that you have a location, a series of scheduled events, and lots and lots of interesting NPC's to run (and each has their own little agendas). It makes for a sophisticated style of running the game; Blood Moon Rising is similar in structure - what the players do is free-form, but events will chug along unless the characters intervene and change the course. I plan on inserting this into my sandbox. It looks like a fabulous module. Thanx! I'm planning on doing a module based Greyhawk Classics(New and Old! )on the side, and I was mulling over a list when I saw this entry in your blog. Sounds interesting, I'm searching for online reviews of N of V now. Might throw this one in. Beedo thanks again for taking the time. It's very rewarding for an author to know his work is being used and appreciated! 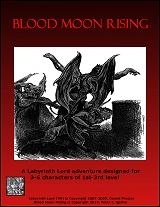 @veleran, Blood Moon Rising is available at Lulu under Small Niche Games. The Inn of Lost Heroes and Pyramid of the Dragon should be uploaded soon.